Have you ever gone on a job interview and thought you did great, but never hear from the interviewer or a company representative as to the status of your interview? Have you ever been chased by a headhunter to go on a job interview, then have the headhunter stop returning your calls? Have you ever hired a virtual business service – you know one of the social media ‘experts’ or marketing ‘experts’ or any other kind of supposed expert – who virtually vanishes after you paid them their retainer? Well, if you have, you have been business ghosted! Unfortunately, there are as many potential reasons why you have been ghosted as there are business ghosts. One of the most unintentional is simply personal work overwhelm. Whether the economy is good or as recessionary as 2008, feeling and believing you have too much to do and too little time is a universal mental obstacle to high performance and courteous behavior. If you have been interviewing for a new position, that maybe your singular focus. However, the person you are interviewing with may have 15 open positions in the hopper and as many levels of approval to jump once a successful candidate has been agreed upon. And everyone knows what it is like to be in phone-tag-or-email-hell. Just imagine the day in the life of a headhunter. They are continually reaching out to potential clients and potential candidates. Every time they want to set an appointment they have to wait for the next person in the chain to respond. When they send in a candidate, they actually become the same as the interviewee at some level. The ability for the headhunter to get feedback can get as bogged down as an interviewee waiting to hear back from a company. Then there is the world of virtual services. I have found that the world of virtual services is a world of ghosting unto itself. The best way to see how easy it is for a virtual provider to ghost is to think of these three situations. 1. You receive an email from someone you don’t know asking for help. 2. You receive a phone call from someone you don’t know asking for help. 3. You are sitting with someone you just meet, and they ask for help. Which was the easiest request to ignore? I am going to take a wild guess and say that the first situation was the easiest to ignore and the last was the most challenging. Well, when you sign on with a virtual supplier of any kind, you rarely make it past the level of words on a page from a stranger. I have found that applies no matter how much you are paying for their service! So much for empathy. If you are the business ghost you should know that the karma of business ghosting is a you-know-what. Here are just three potential karmas of business ghosting as seen through the eyes of the ghosted. This is the painful part of the business ghosting – the part that hits your paycheck, your revenue and your reputation. Every interviewer was first an interviewee (and will most likely be one again). It takes years to build a reputation, or a company brand and just a few days of negative tweets to destroy all the good you have ever done. Whether in business or your personal life, people remember what you did, not what you said you would do. It is easier to build trust than to rebuild trust. A system. An automated system at that. Set it once and it is done. Your system might be a combination of calls and emails. Your system might need a little bit of attention, but not nearly as much as the time you take trying to clean up the mess from a ghosting. In the end, all people want is to be acknowledged. That is the core of all relationships. Everyone knows they may not get what they want but knowing where they stand means a lot. Ghosting does not serve your success. 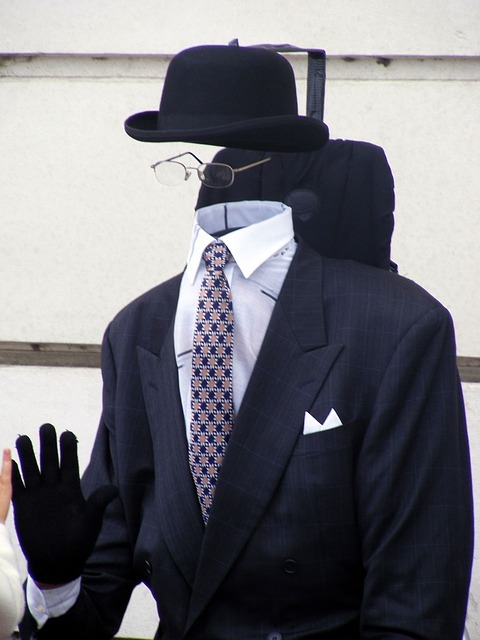 Ghosting does not help you flourish in business (or anywhere else for that matter).